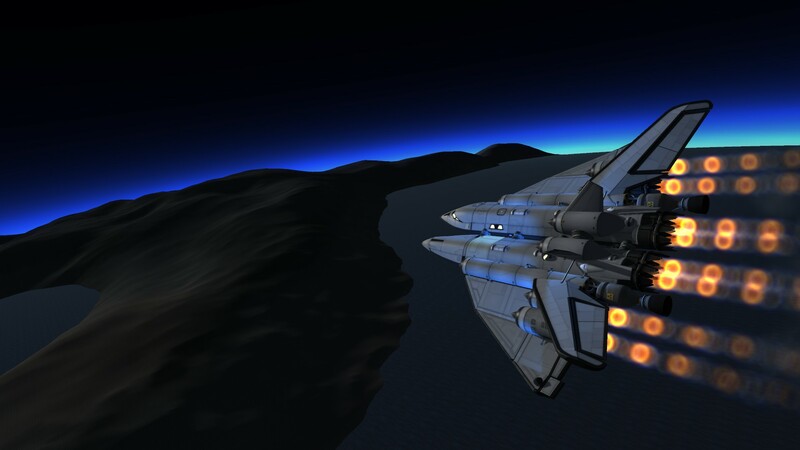 The Chimera Transport System (mission designation CTS) is a twin-fuselage spaceplane designed for Laythe colonization. With capacity for 6 Kerbals, it’s designed to be tugged out to Laythe, join its two halves together, land, and return to orbit. Built with 413 of the finest parts, its root part is fuelTank3-2. Action groups are detailed below. 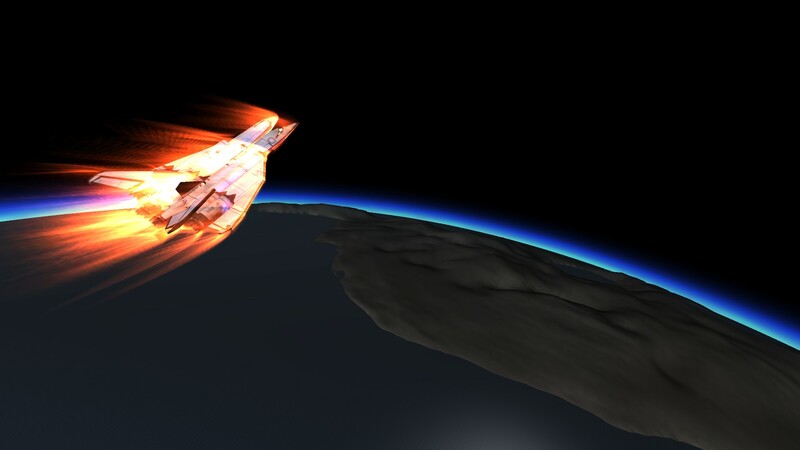 The plane was not designed to do its own transfer burn to Jool. 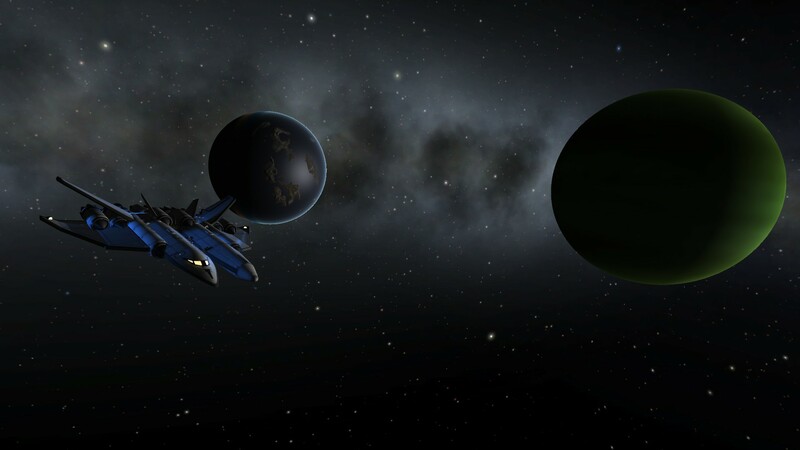 Best practice is to split plane into two and attach it radially to a transfer stage in Kerbin orbit. When launching, the plane did not respond well to pitch maneuvers lower than 20 km above KSC. Fairings do not fit so be careful with pitch. You may want to strut the plane down a bit better. In LKO, central orange tank was designed to deliver plane to transfer stage and undock. Abort button will swap engine toggle and allow the center core to deorbit without any orientation change. 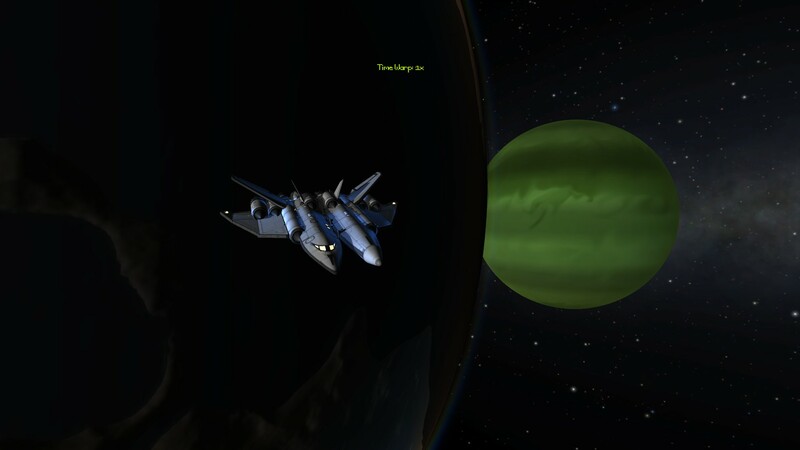 Be careful braking on Laythe, the plane tends to drift and has not yet survived a standard plane landing. It may be easier to drop it near vertical with the abort chutes. Brakes may also need tweaking. A solution has not been found yet. Built in the VAB in KSP version 1.0.4. 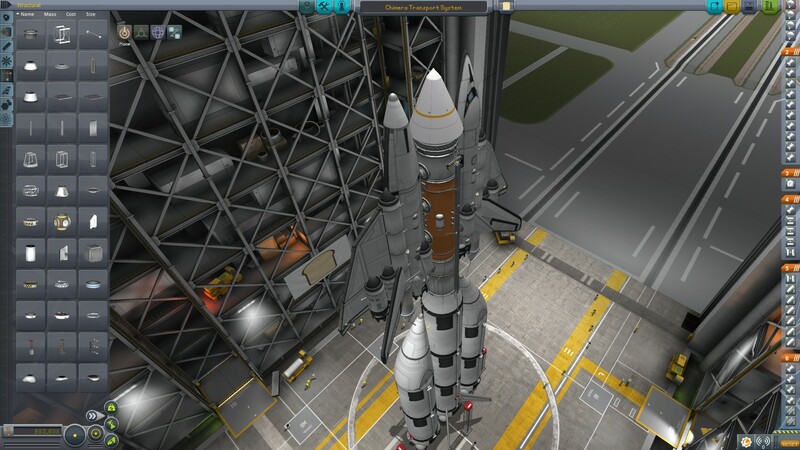 You will be downloading the plane on its lifter, as shown in the VAB screenshot. Side note: original design was not tested returning to Kerbin. 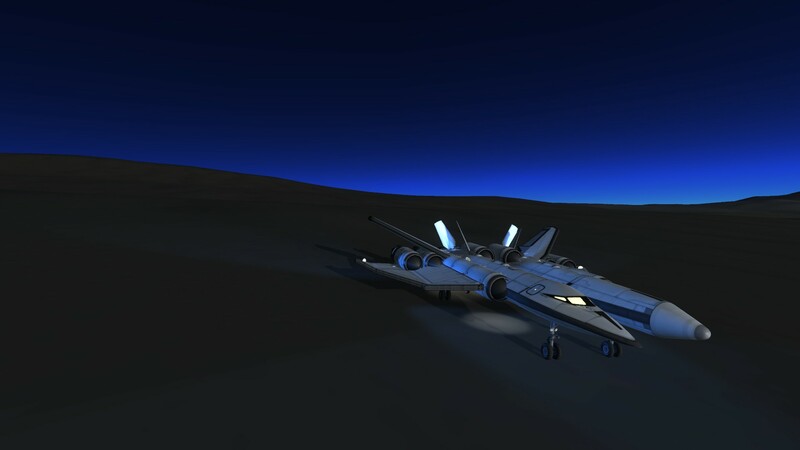 Attempt Kerbin aerobrake at your own risk.